If you get excited about food and flowers as much as we do, consider creating your own flowering herb garden. You’ll be able to supply yourself with as much beauty as you desire, whenever you desire. The following are some of the herbs that you might want to put into your garden. They will provide blooms, stems, and leaves that can be used in a variety of ways. This perennial herb is bushy and it grows in bunches. 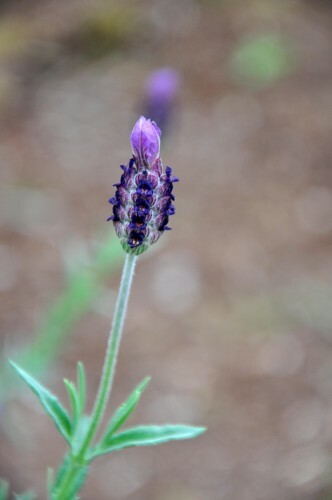 It has upright stems that bloom with an abundance of blue-lavender flowers during mid to late summer. Anise Hyssop attract pollinating bees and other beneficial insects, so you might want to grow this herb outside. It has fragrant leaves that are especially perfect in healing ointments. Feverfew is a great herb to have around if you like to make tea from fresh flowers. The blossoms on this herb look delicate, but they’re actually sturdy so you can grown them nearly anytime of year. They thrive in early summer and into fall, however. After a round of flowers on this herb, you can cut it to the ground so it will bring new growth for you. Lavender is an herb that looks stunning indoors or out. It’s one of the best herbs to grow if you want something with a range of possibilities, for health, happiness, and healing. Lavender is ideal for making into tea, baked goods, and healing tinctures. It has a heavenly smell and it’s easy to take care of, as long as its soil gets proper drainage. These are some of our favorite herbs to growing in a flowering herb garden. Do you have flowering herbs that you especially like to keep around? If so, feel free to let us know about them in the comments below. Two things that we love about spending time in our homes are eating and enjoying the fresh flowers we’ve surrounded ourselves with. We figured out a way to combine both of these delights into one treasure, one that we think you’ll love to have around.We created a flowering herb garden. We made one that will supply us with beauty for the eyes, and for the palate, for a long time to come.A flowering herb garden can offer a pretty view when looking out the kitchen window. And, it can offer a delightful scene in a yard or on a patio. Flowering herbs make for tasty ingredients in homemade meals, both sweet and savory ones. They can also be used in healing juices, teas, and elixirs.